Cool functions, and so easy to use. You know the game – resellers aren’t crazy about using vendors’ software tools. Channel partners don’t like people snooping over their shoulder – it’s in their DNA. And anyway, they can’t see the point in using two different systems – their own and the vendor’s. Fair enough – but that begs the question of how you get more visibility into what they’re up to. That’s where we come in. With the leadtributor. Higher closure-rates due to intelligent and innovative processings. Feeback-loops allow you to know what your partner is doing - at any time. All the data is flowing back to your systems (CRM and Marketing Automation). Know what your resellers are doing. The leadtributor is a software tool that facilitates the management of leads you’ll be sending to your reseller partners. 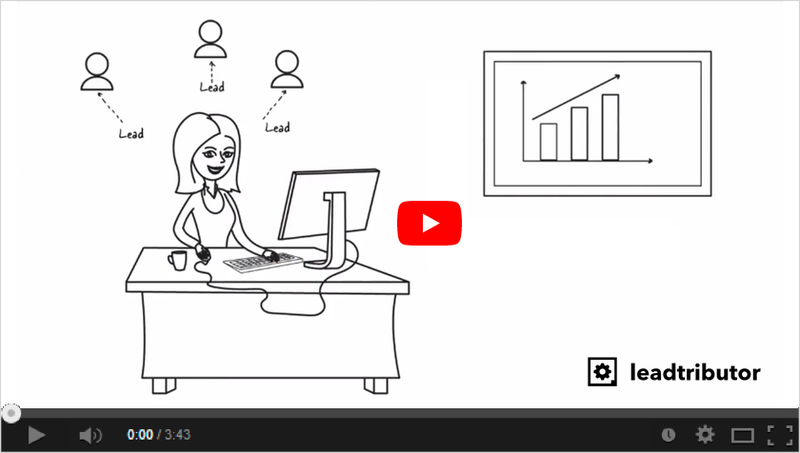 The web-based leadtributor provides all the relevant information about each contact and ensures that leads are quickly forwarded to channel partners with its intelligent push/pull process. Innovative processes and well-designed motivation functions ensure that partners regularly work on their leads and report back to you. It processes leads quickly, delivers high-quality results, and even detects any anomalies immediately so you can initiate the relevant procedures to deal with them.